The CATS are out of the bag – and ready for some TUFF adventures in the untamed African bush. 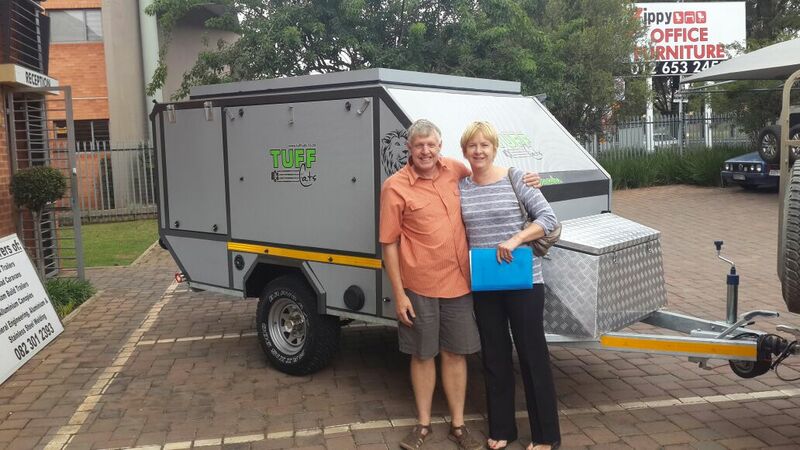 TuffCats off-road caravans offer you holidays in the wild with the benefit that you leave only your footprints behind. The Shumba (Shona for ‘lion’) off-road caravan is the king of the jungle – ready for the rugged outdoors, but still royal. The Shumba Cub, the smaller caravan, is the successor to the throne. But more than one cat rule the bush, and so the Mbada caravan (Shona for ‘leopard’) are also built for those who prefer their cats leaner and meaner. TuffCats – leave only your footprints. The Shumba (Shona for ‘lion’) off-road caravan is the king of the jungle – ready for the rugged outdoors, but still royal. The Shumba Cub, the smaller off-road caravan, is the successor to the throne that will satisfy even the most adventurous. 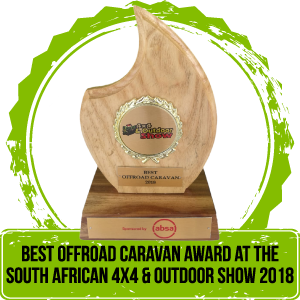 The Mbada off-road caravan (Shona for ‘leopard’) was recently launced and its photo gallery and details will be available soon! Please return to our website regularly for updates on the Mbada off-road caravan.